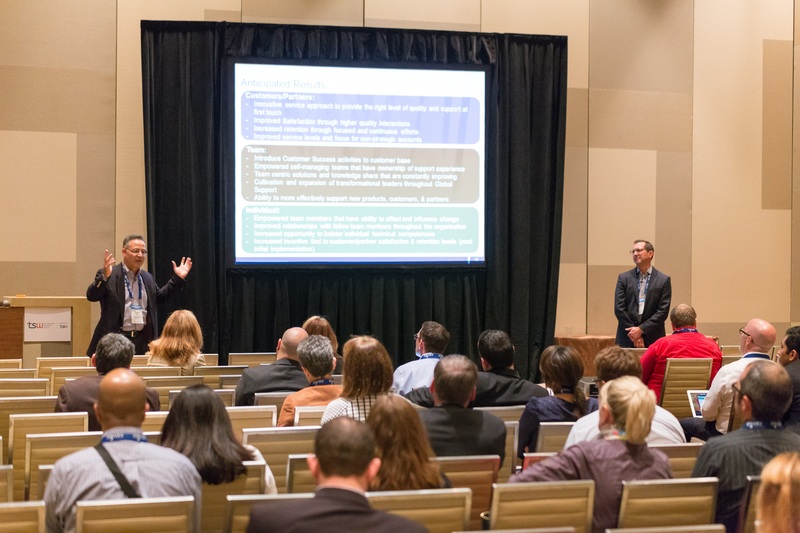 Earlier this month we had the honor of presenting at the TSW (Technology Services World) conference in Las Vegas, NV. Over the past year and a half we have embarked on an intense transformation to bring better focus and service to you, and the TSW community was anxious to hear about our trailblazing transformation. The topic of our presentation was “Shedding Tiers and Winning the Hearts and Minds of Your Customers and Your Team,” and we couldn’t be more proud to share our experience with you. We were able to successfully shed our tiers and complex management hierarchy almost immediately. 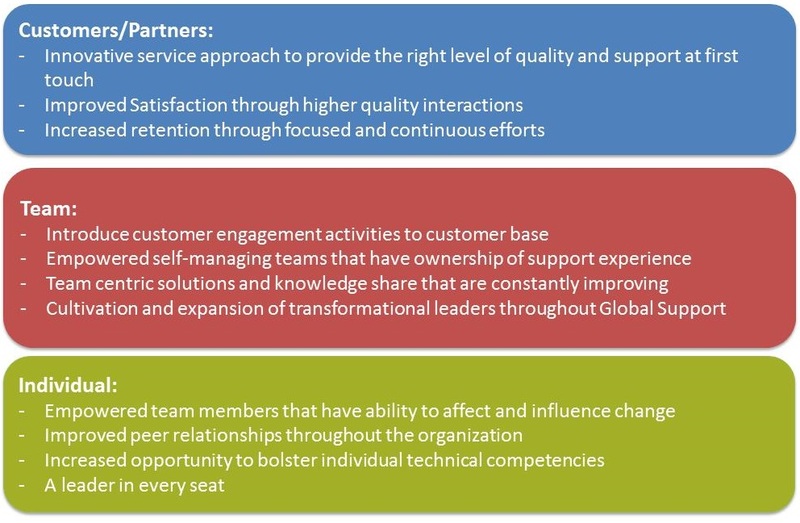 Working closely across the scrum teams, we outlined new processes and launched customer engagement activities across all 6 Global teams. We increased our proactive customer reach outs by a staggering 275%. We decreased customer bouncing between teams (previously tiers) from 33% to 8%. We increased our Larry blog contributors by 340% and Learning Series contributors by 580%, leading to a 57% YOY increase in customer blog readership and record breaking Learning Series customer participation. We have actively maintained customer satisfaction rates of 98%. 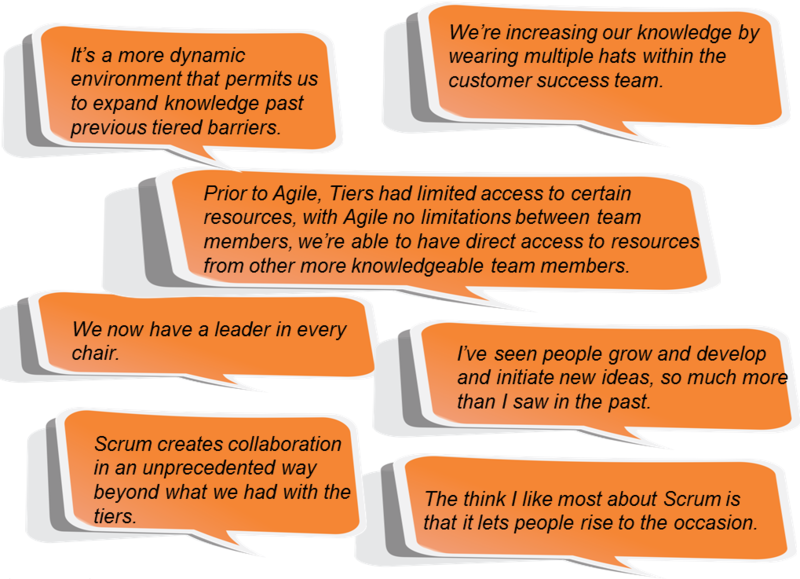 We love to talk about Scrum, how we’ve made a traditional software development framework really work for us, how we go about our day to day interactions, and what our bigger goals are for our organization. If you want to hear more, leave us a comment below!